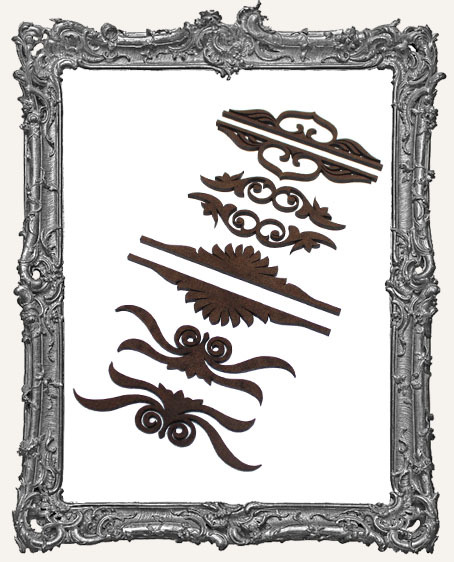 * Set of 8 fantastic Victorian inspired flourishes! There are 4 different styles, and you get two of each, facing opposite directions. Use them individually, or in pairs. They look great either way. 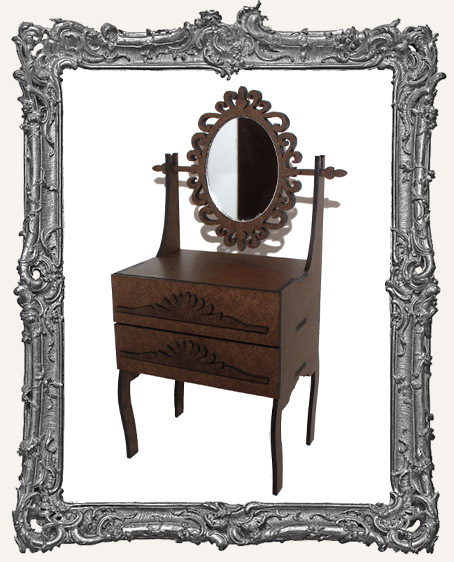 These were designed especially for our ATC Vanity Kit (photo #2), Victorian Hand Mirrors (photo #3), and ATC Shelf with Drawers. Of course they have many many other uses too. Great on ATCs! 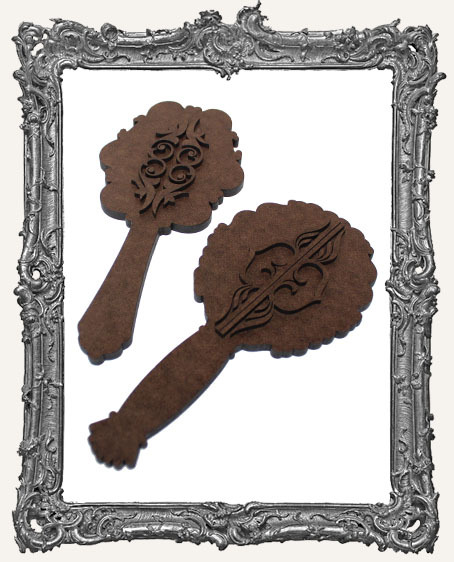 They are also excellent for Halloween art. The bottom flourish looks somewhat like an owl's head!